For the first 3 in this series, check out: 1 & 2 & 3. I know, it’s another speedster. But hear me out. Mark Waid was at his (or about to be at) his creative peak while writing the Flash when this guy showed up from the future. You see, one of the things DC comics have always loved is the sidekick. That teenaged (or sometimes even younger) superhero who has the same or very similar powers to the original. Lots of times they get names signifying as much: Kid Flash, Wonder Girl, or Aqua-Lad (you get the point). 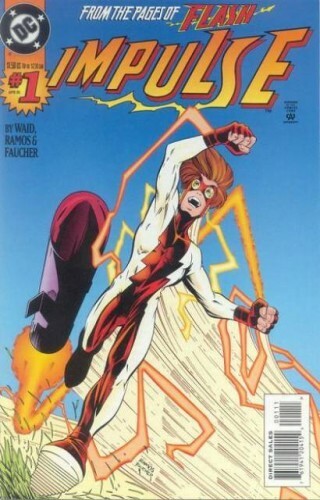 And that’s what Impulse was… the new Kid Flash. Except, he was something more than just a sidekick. And when he proved popular enough to earn his own book, we got to see exactly how someone who never really thinks, but just acts, can handle living in the shadow of not only Wally West (the Flash at the time) but also his grandfather: Barry Allen. It was a fun book that tried not to take itself too seriously. And well worth the read. I want to say something heady like The Watchmen or Kingdom Come or Maus even, but I’m not that classy. Think Robot Chicken in more of a comic format. 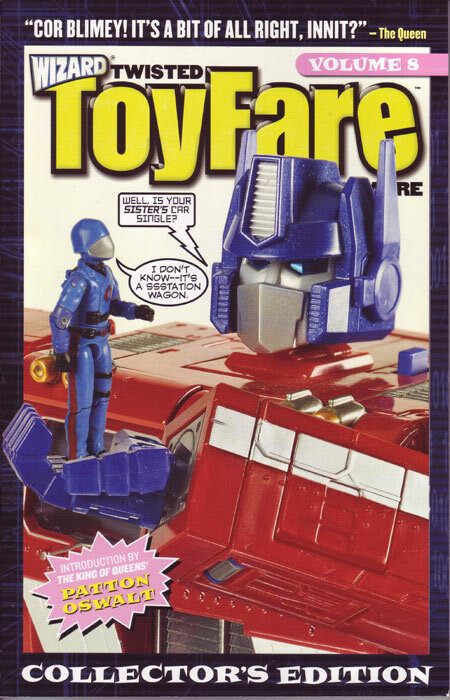 Got that image in your head – full stop – that’s exactly what those comics are. There is no redeming value to having read them multiple times (save for the belly laughs). Whether it is an old Mego-Spider-Man acting like a complete jerk or Iron Man always being drunk… there is something for everyone in there. Well, maybe not, but I think it is hilarious. Not because zombies fill me with warm cuddlies (I’ll leave that to Mr. Neill), or because I keep copies by the bed-stand. No, it is because, month in and month out, this comic continues to astound me. 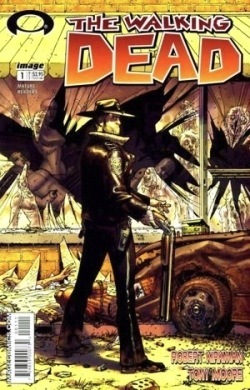 In the direction it may be headed, in the places it has already been, and in everything else Kirkman manages to do to show the sheer number of stories you can tell in a post-apocalyptic setting. I’ve been reading since almost the beginning (and have read them all), and it still manages to surprise me from time to time. The Quality, which has translated over to the TV show, is almost unparalleled in the comic industry. 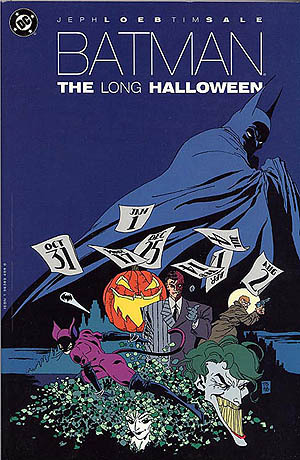 A little bit of a cheat as each issue of this series takes place on a different holiday, as Batman tries to track down the Holiday Killer. Still this comes from a time when Batman is still learning to be THE BATMAN. He’s not to where you and I would most commonly think of him being (a force of nature). The series weaves its way through many of the Batman rogues gallery, with some offering more help than others. Jeff Loeb and Tim Sale create a story that completely engrosses and challenges the reader to try and figure out who it is behind all the killings. Figure out which villains may be telling the truth and who may only be hoping for Batman to continue to spin his wheels. « 101 Questions for Midnight – Surprise Book Release!